Are you So You Start, OVH or Kimsufi dedicated server reseller? 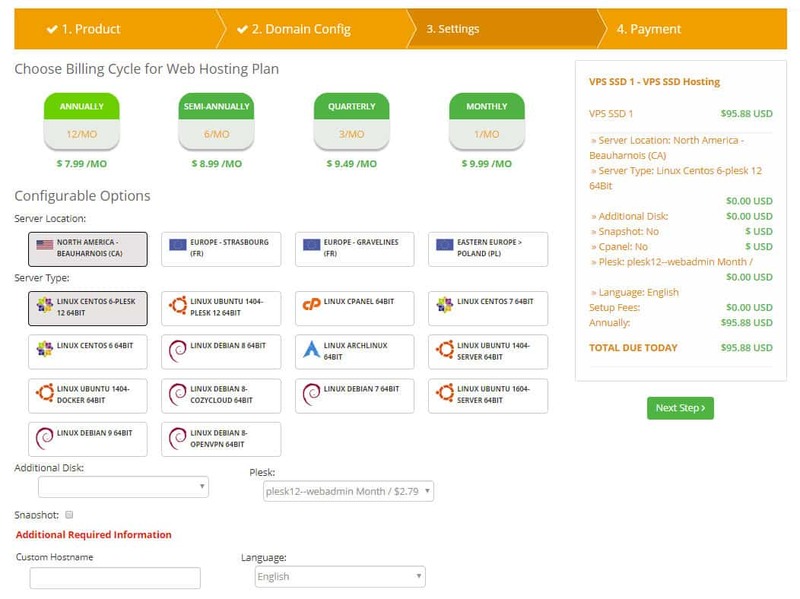 Have you ever imagine of having a module that enables your customer to manage their servers from WHMCS client area itself? 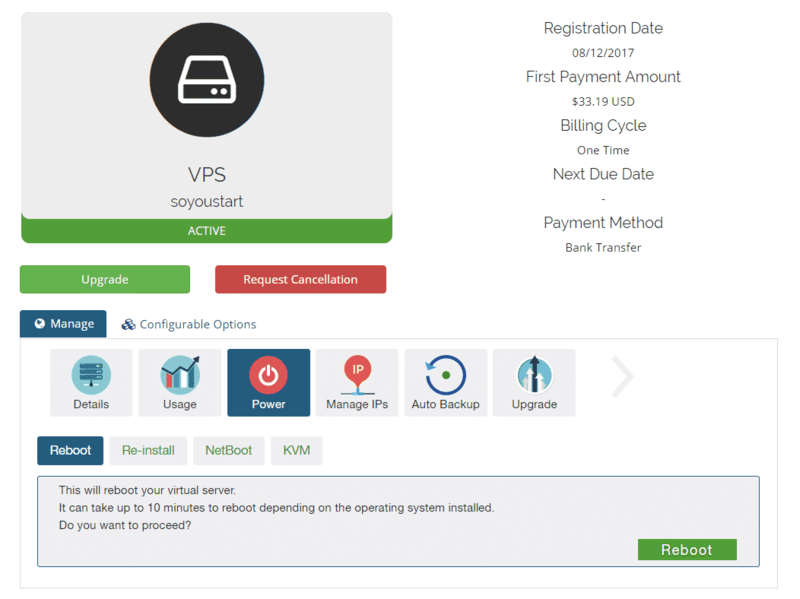 Your wait is over now, our OVH – SoYouStart -Kimsufi WHMCS module allows you to resell OVH, SYS and Kimsufi VPS and Dedicated Servers with options for your clients to manage their severs form the client area itself. The module is very easy to install and use. 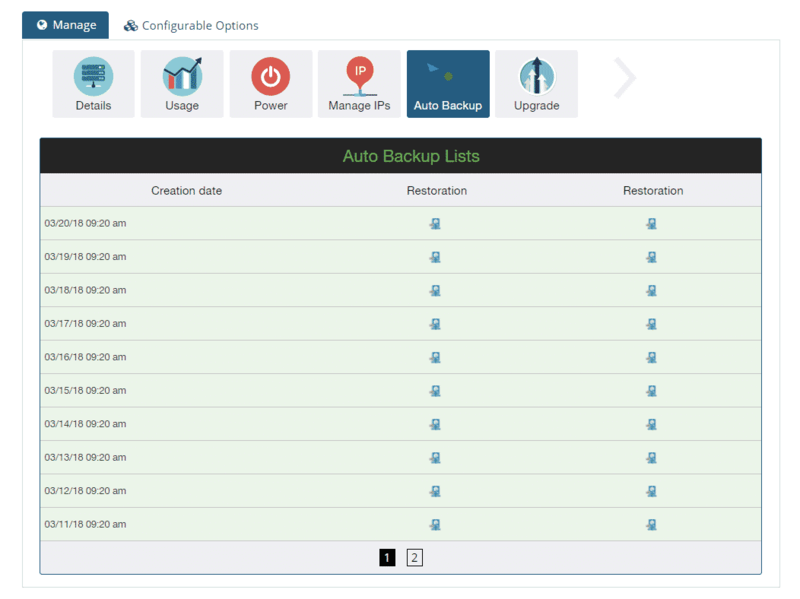 Module provides enhanced features to your clients like Reboot/Re-install/Recovery Mode, Enable/Disable FTP – Backup, Manage IP’s Managing Backup, Upgrade the System Resources. Also your clients always can keep an eye on other important information like Data Center Allocation, Operating System Installed, Virtual MAC Address Used, Bandwidth Usage and KVM from WHMCS client area. 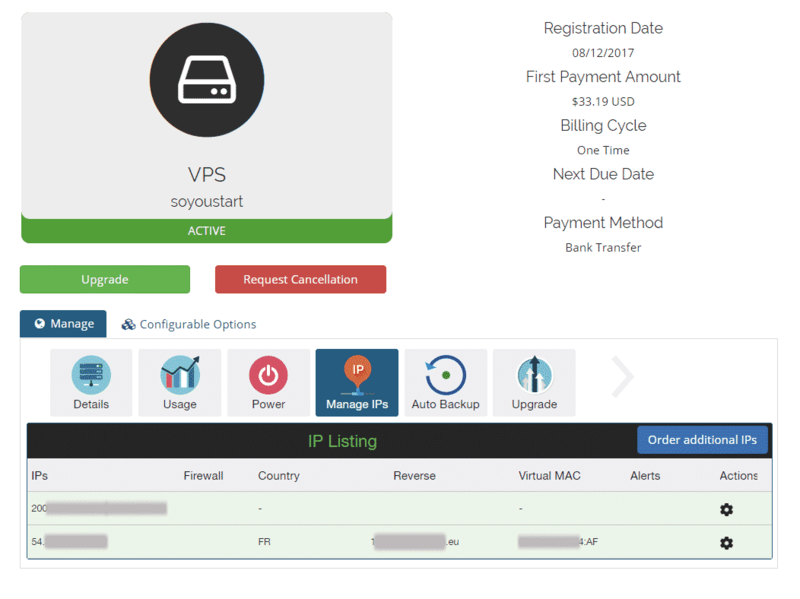 OVH, SYS and Kimsufi reseller can automate the VM processing on a successful purchase of the VPS. Allow or deny feature in client area for server based. Your clients can view the real time installation status. 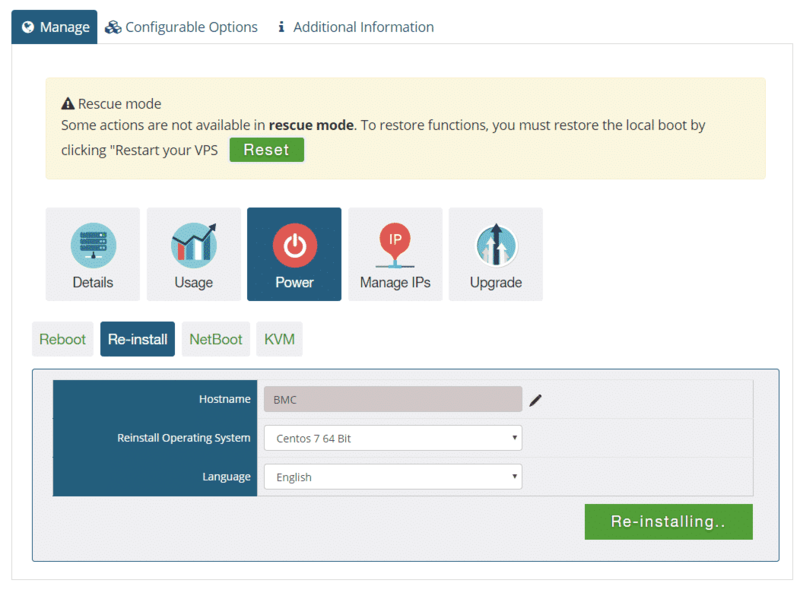 Your client can easily Reboot & Rescue their server from their WHMCS client area. Your client’s end customers will receive a white labeled email for every event. 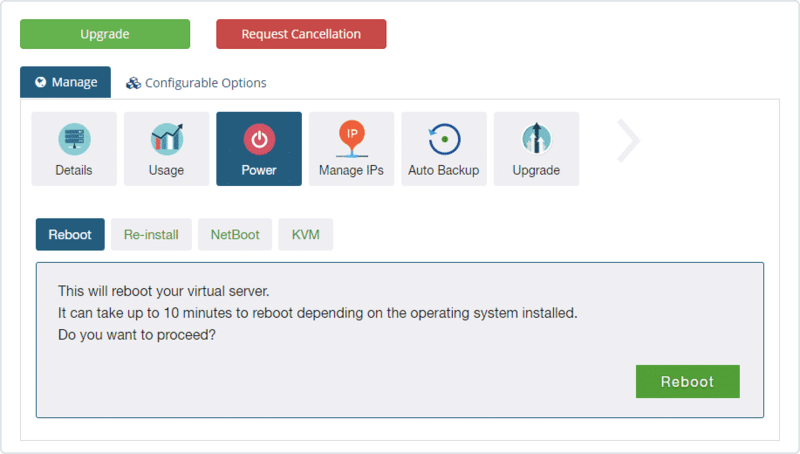 Your client can access the KVM console directly in WHMCS. Now you can resell the OVH VPS server instantly. 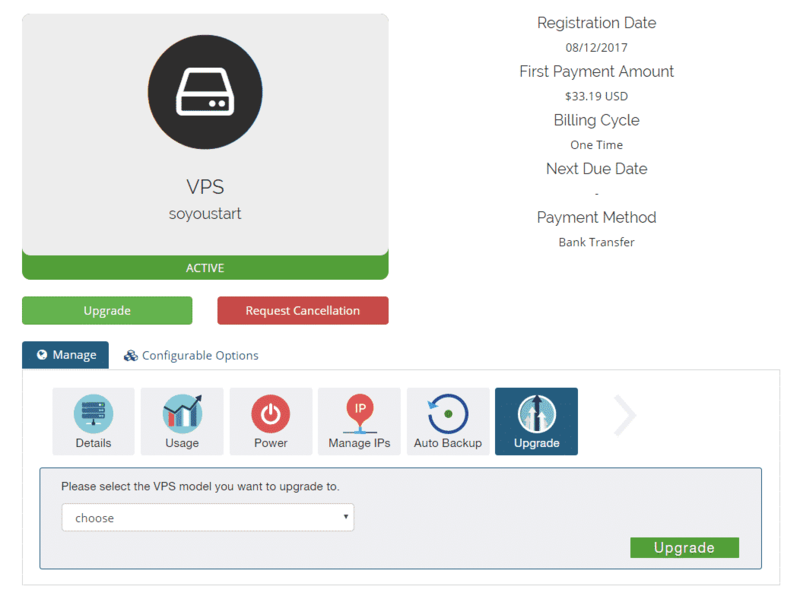 Using our OVH VPS Module​, y​ou just have to pre balance your OVH account. 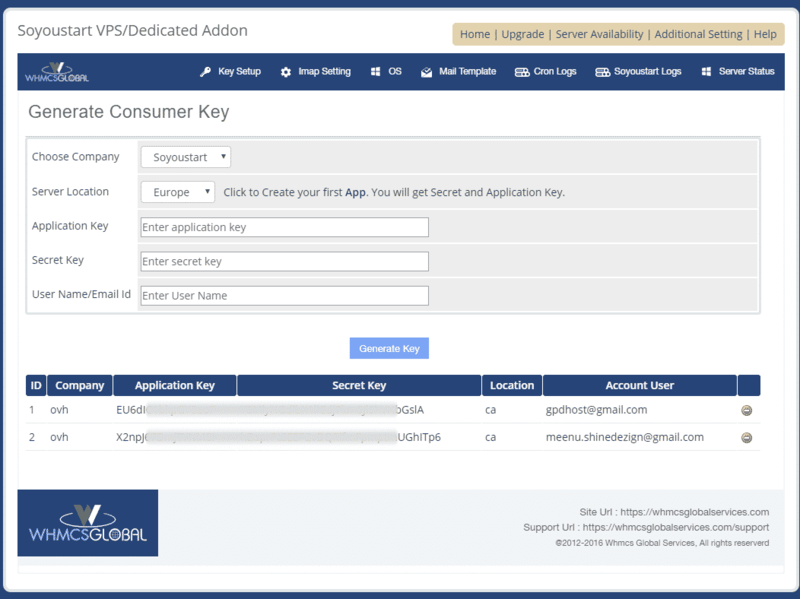 Do you worry about creat​ing​ configuration option for your products? 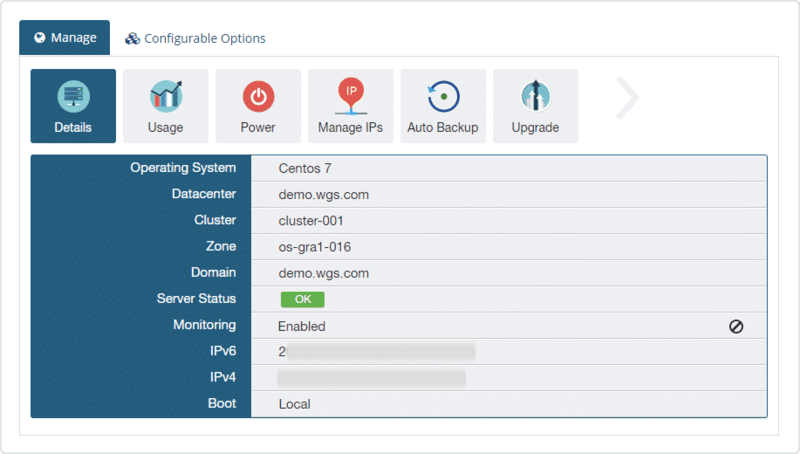 Now you don’t have to!​ By using our module as soon as you create the product in your WHMCS our module ​will auto create the configurable option to let your client choose data center location, OS type, control panel , and extra disk space or IP’s. Does your customer require an upgrade after purchase​? 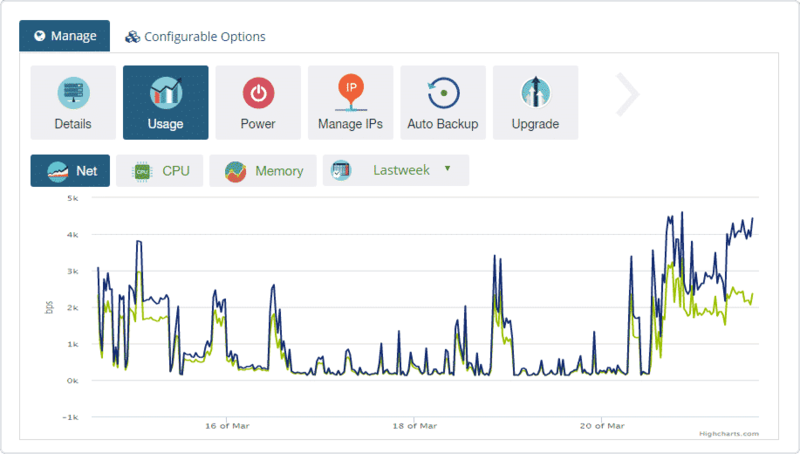 By using our module, your customer can easily upgrade their VPS machine within client area without your help & data loss. 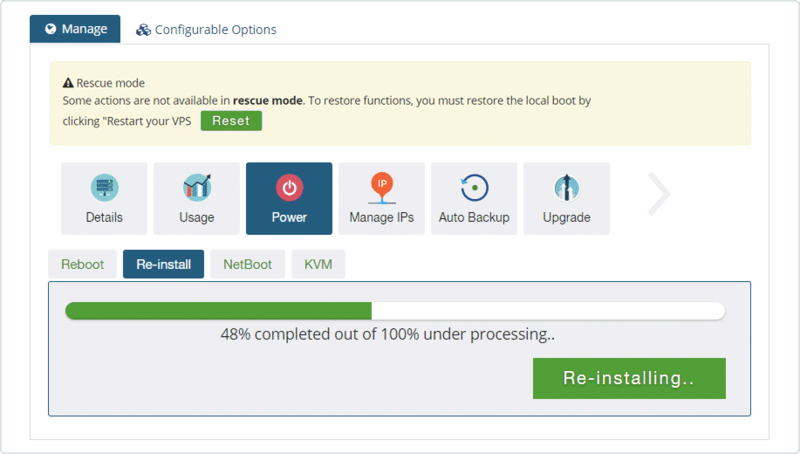 Whenever new VPS server​ is ​sold through ​WHMCS​, our ​module will by default set automatic renew disable. If user ma​ke​s the payment before due date WHMCS will automatically renew the server. Our module enables your clients to see all information related to server, hardware and CPU in the client area itself. 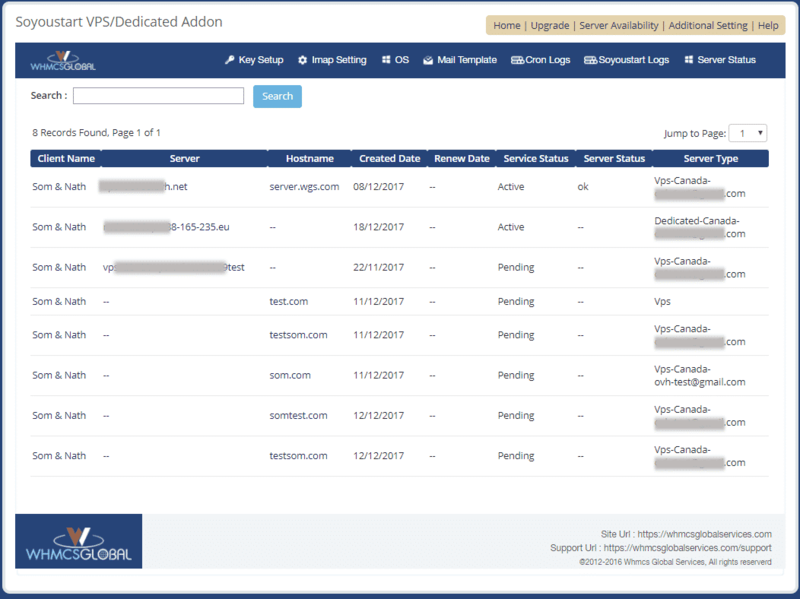 What server information your clients can manage from WHMCS client area? You client can easily manage Data Center, Operating System, Reverse IP, Server Status, Processor Architecture, Memory, Disk Groups, Motherboard, Kernel Information and Server Load as well. There is an option to see the windows compatible licenses. Allow your clients to see and manage IP’s and their information like Country, Type of IP, Reverse, Virtual MAC. They can also perform actions like Edit Reverse, Delete Fail over IP, Move Fail over IP, Add Virtual MAC and Unblock SPAM. 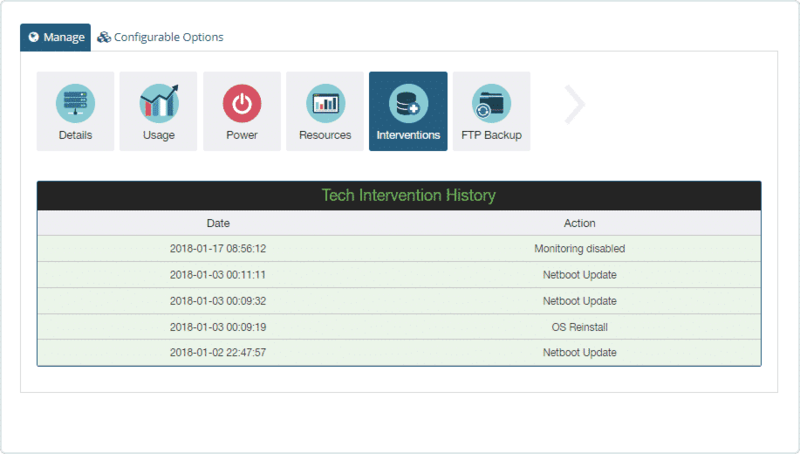 Your clients can manage various FTP processes from the client area like Enable the FTP Backup, Creating ACL, Changing password for FTP and Managing IP Blocks. 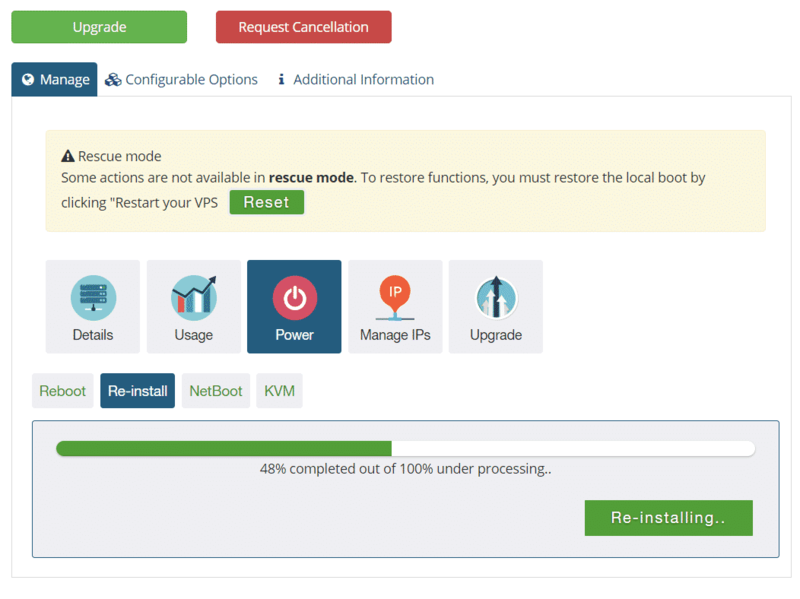 You can execute commands such as reboot, re-install and netboot easily and effectively. You can also choose specific operating system to be displayed to client, rename them and can edit, delete and add partitions as well. Your clients will get server usage stats in the form of graph. There are various display options for the graphs available for your clients in the module. Allow your clients to view the real-time re-installation progress of the server in the client area. It will display the percentage of the process which is completed as well as under processing. 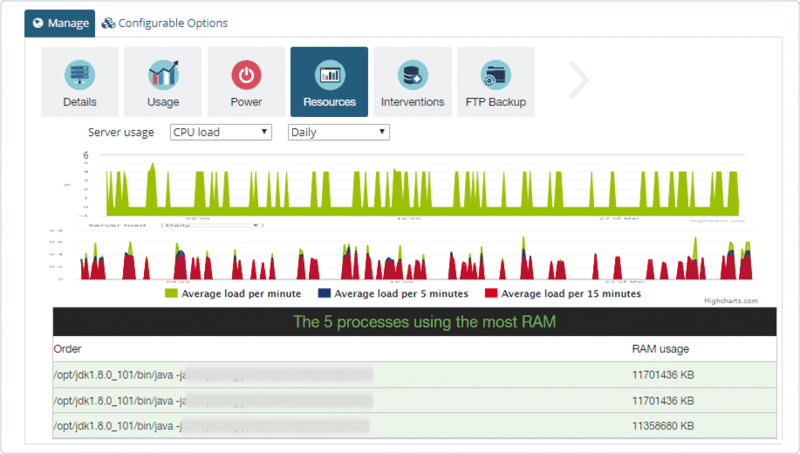 Our module displays information related to Server load, Disk Space and Bandwidth in form of detailed graphs. 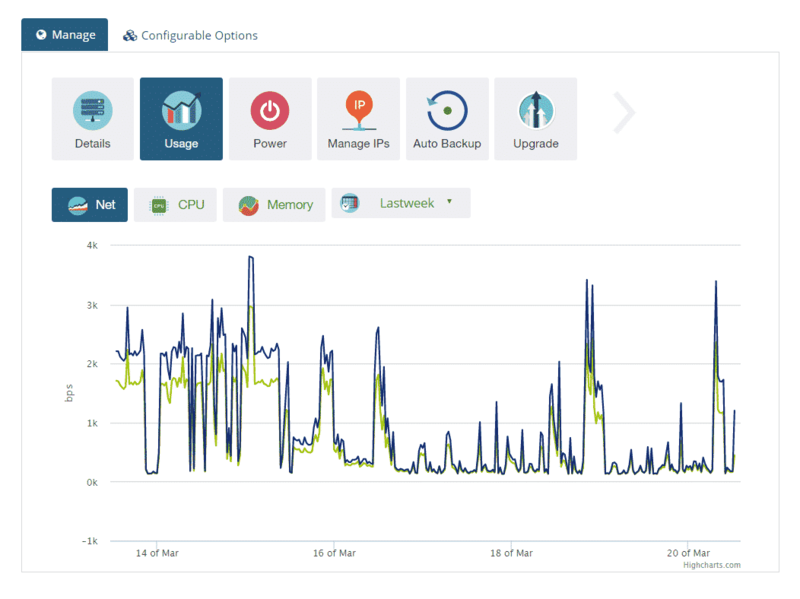 Your clients can view these graphs from the WHMCS client area anytime. 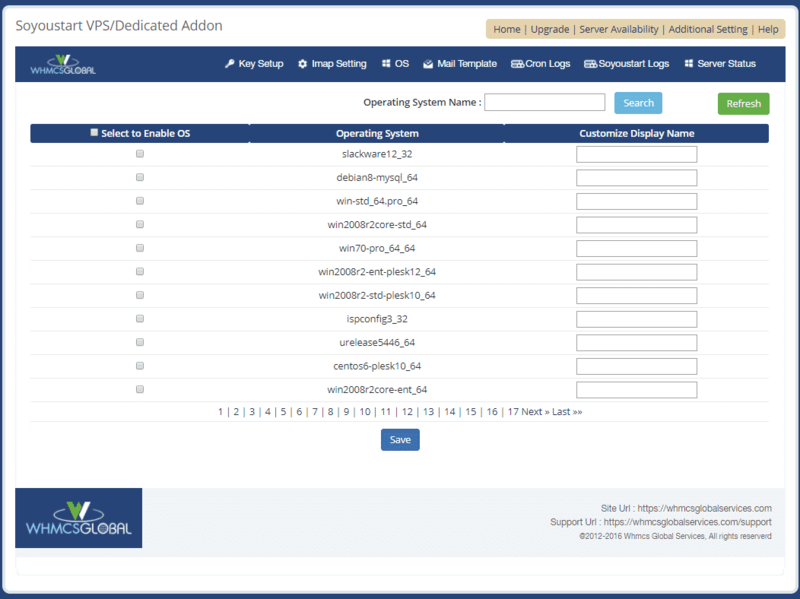 Your clients can see the technical logs for the operations performed on their server such as reboot, reinstall OS etc. 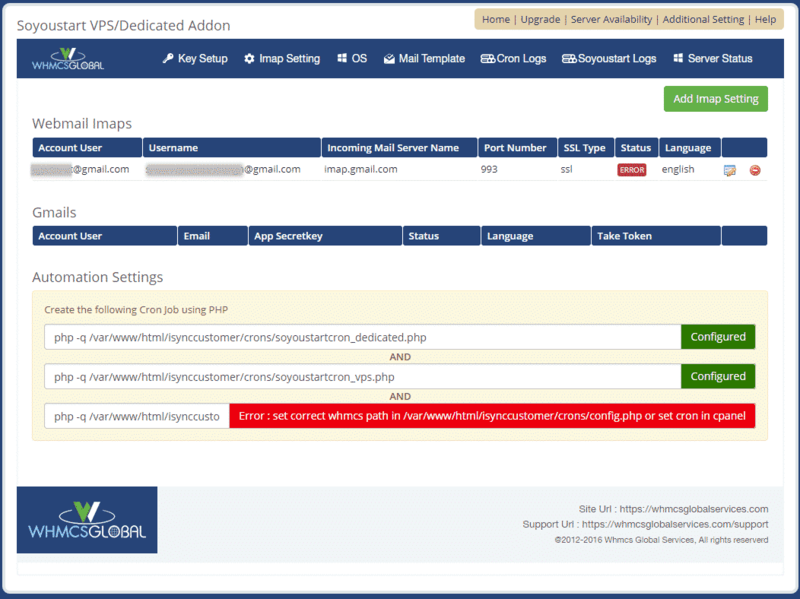 This feature allows your clients to send the emails automatically to their customers without the burden of forwarding. Also our module completely white labels the format of the email before sending it to your client’s end customers. 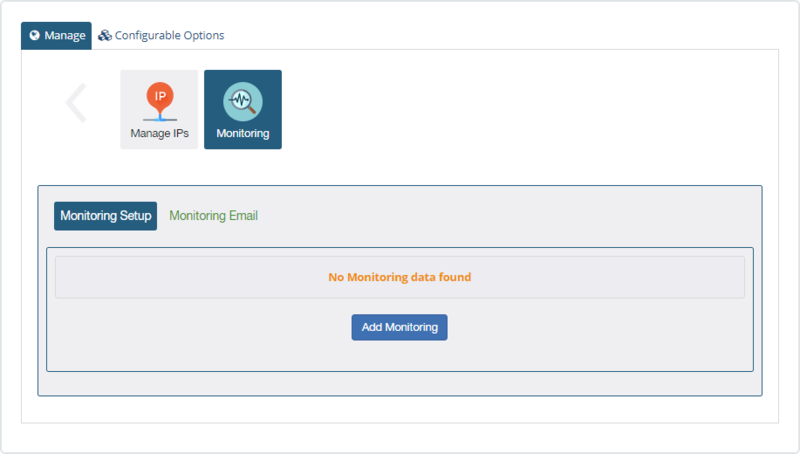 You can add, delete, update and list monitoring for the server and can also add, delete email alerts for them. 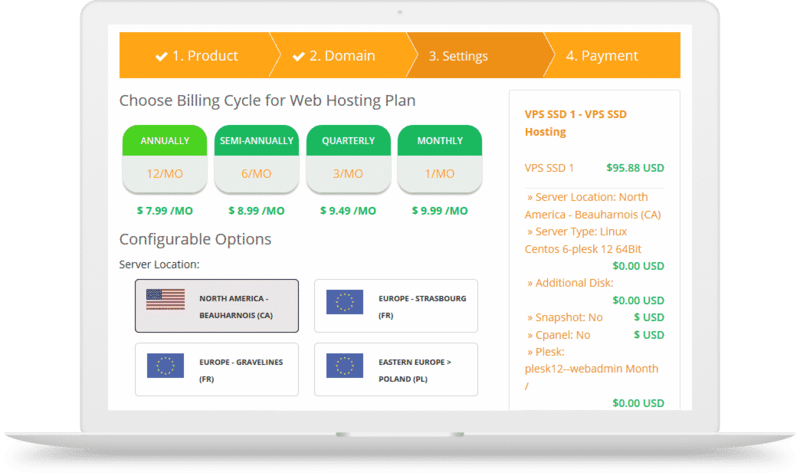 Resell Ovh, So You Start And Kimsufi Vps And Dedicated Server. 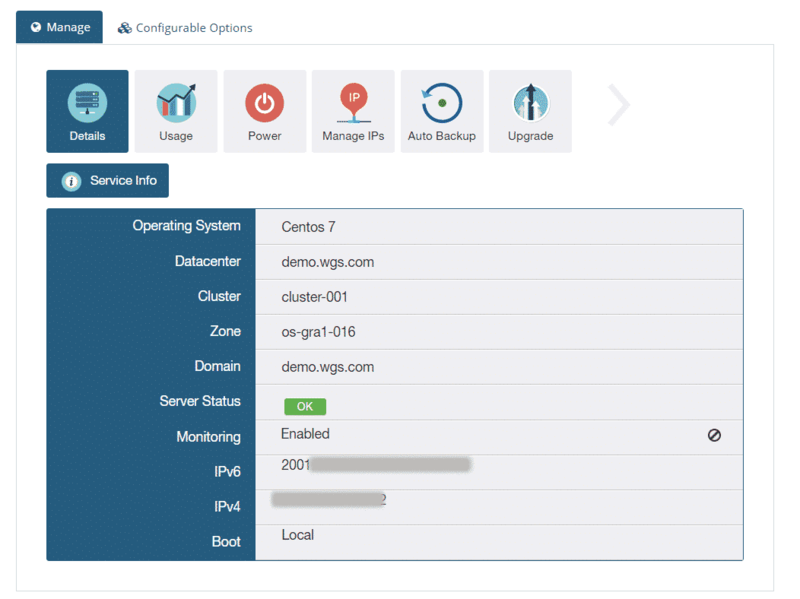 Auto Provisioning Vps Server After User Purchase. Allows White Label Email Piping. Send Automatic Notification To User For Spamming Or Overusage. 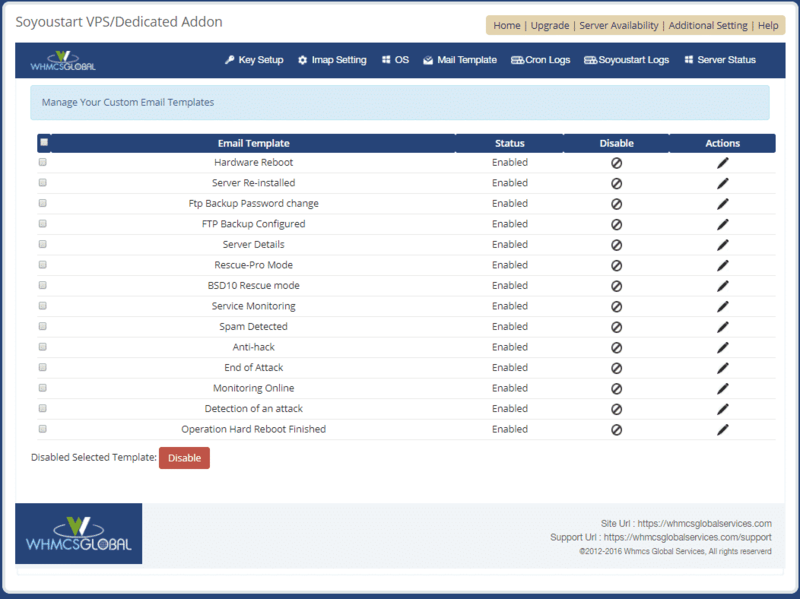 Automatically Send Server Details On New Purchase Or At Reinstallation Time. Increase Your Sales By Selling Additional Addons Like Extra Ip’s , Hard Disk And Control Panel License Etc. Manage Server From Client Area. 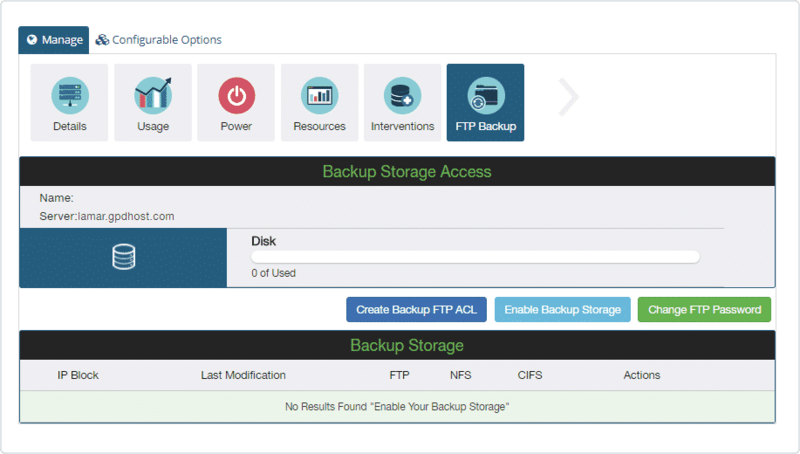 Enable Or Disable Ftp – Backup From Client Area. 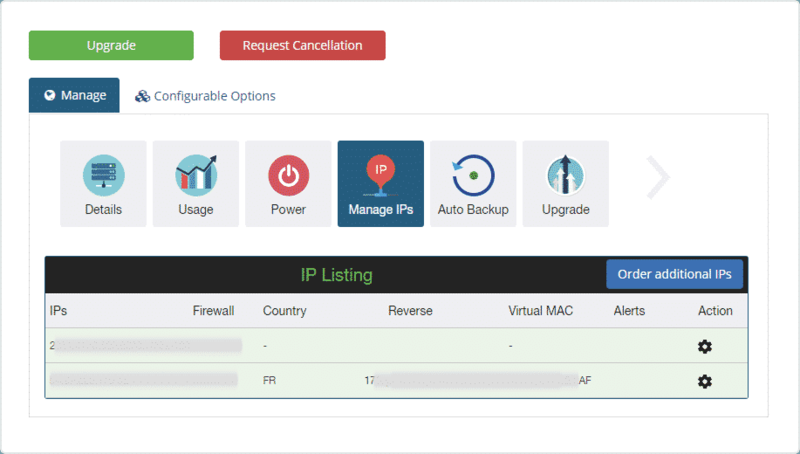 Manage Ip’s From The Client Area. Reboot The Server From The Client Area. Upgrading The System Resources From The Client Area. Check Various Information Like, Data Center Allocation, Operating System Installed, Virtual Mac Address Used, Bandwidth Usage And Kvm From Whmcs Client Area. The customer support is really awesome, they are quick to reply back, very helpful! 10 days money back? What a joke! First I requested my money back, then they said they will do the refund. I had to report them to paypal and file a dispute to get my money back since they would not send it back - WITHIN 3 DAYS! For me, whmcsglobalservices is just a company for frauds. Updating my review Jan 26 2019. . . After filing a PayPal complaint and requesting my $$ back the owner Manvinder reached out to me and we discussed the issue via Skype. He quickly ensured I received the setup service I purchased and has been very helpful over the past few days getting everything setup and working. 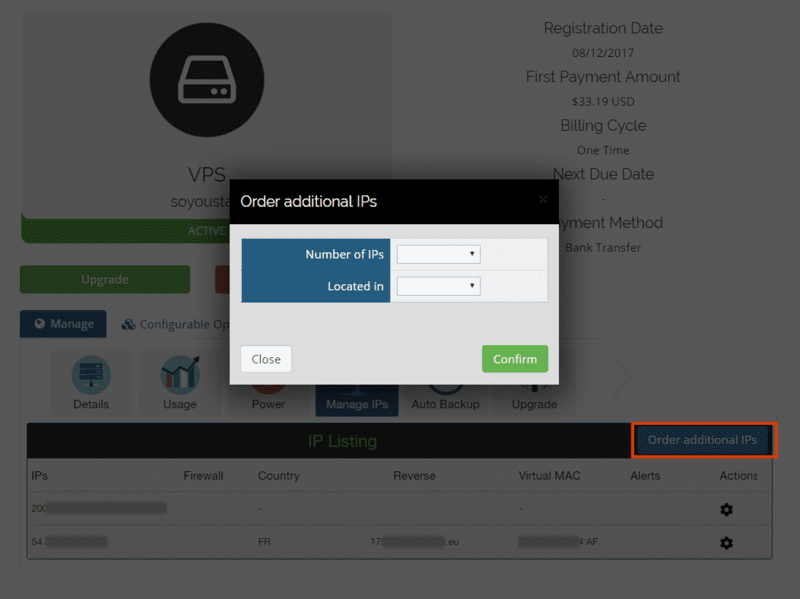 Beware, they claim that VPS auto-provisioning is available with this plugin, however currently the API is not in production with OVH. I spent an hour on the phone with an OVH technician who explained in great detail the problems they are facing with people trying to use the API too early. 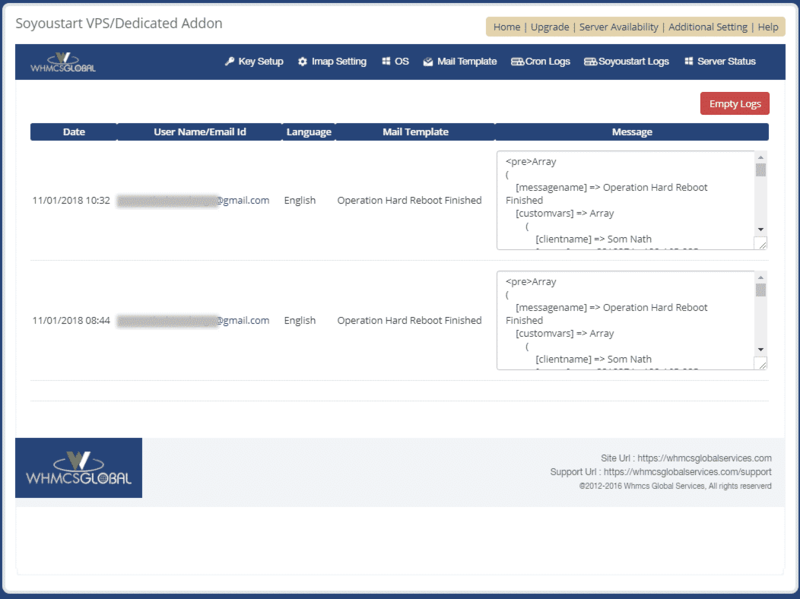 Eventually it will be available, however currently the auto-provisioning API is not in production for OVH so you must manually place all orders. Any auto-provision API orders fail and are eventually refunded by OVH. Once a manual order is placed this plugin works as described. Could not fix a simple problem at their end from 30 days, worst and rude support. Is this working now? Also the price is a one-time price, or qurtely subscription? Wasted two months trying to get them to fix several bugs. Horrible support! Extremely rude and super slow to respond. Far too many customer complaints regarding end user functionality. Worst customer service on the planet. Too many bugs. To top it off, they want to charge you to fix them. A female member of my staff called their support manager via Skype and he hung up on her. Horrible ... just horrible!!! The issues we're facing include email piping not working, unstable API connections, and end user functionality. Yes, the darn thing looks pretty. But if it does not work .. .then IT IS PRETTY FRIGGIN USELESS!!! A wonderful module. Works like a charm. Support also responds quickly and eliminate any problems. Highly recommend this module. One of the best module in the market I tried Bstack one also but continue with wgs thanks manvinder and your for all efforts. We used this module for our company. Its working pretty good with VPS & Dedicated servers. One of the best module in the market. Highly recommended to everyone. Thank you for the feedback & recommending our module. Excellent support.. Anytime I can call them and they receive every time..
Today I put this positive comment because the module Soyoustart works perfectly, I even have no words to write at what stage I'm happy to have this module that works with OVH, cron tasks works for vps and for servers under the French language. Today I advise this company because it has developed a revolutionary module for the management of VPS, hope that it will be the same for the servers on the long thermal. The support was very present on the last days as we can expect from technical support. I say simply bravo for this beautiful work and thank you. This module is the best when it comes to SoYouStart and OVH! It has everything one could ever need within it, and it's very easy to use! I am using this module since 6 months. I want to say that it is awesome module to give access of VPS/DS to clients. Their support is great and always keep upgrading module to provide us more features. 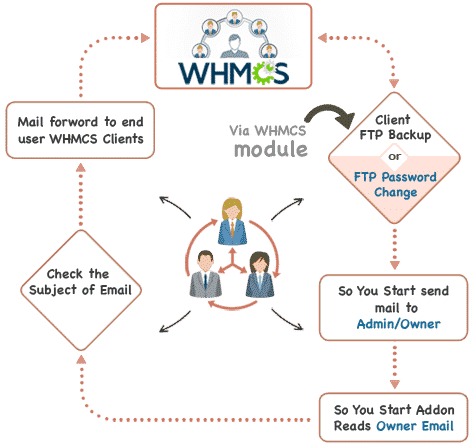 Even i have used whmcsglobalservices's their other modules they works perfect. This Server management WHMCS module is helping to develop my company. Thanks to WGS. Very good module, I have used a very long time, in addition to the problem of timeout has not found any other problems. I used Bstack and WebSoftSolus modules, they are much worse than this. Module is wonderful, worked like I expected it to. Had issues installing but support was eager to help me out and resolve the problem! Fantastic support - a bit sad to find out that OVH doesn't have the ability to directly purchase a server while an order is placed so you will need to pre-pay for a server and configure in WHMCS or manually process the order. However, once the server is setup, the module really kicks in and allows clients to manage their servers successfully. Great module, great support! Grat module from a great team. I've no problems with the module and the support is always perfectly! The module works perfectly, many features and very fast. There was a little problem when I try to use it on a Windows machine, but the support fixed that very quickly for me.